If you have a pool, then you know the effort required too keep it clean. That is where we would like to help you. 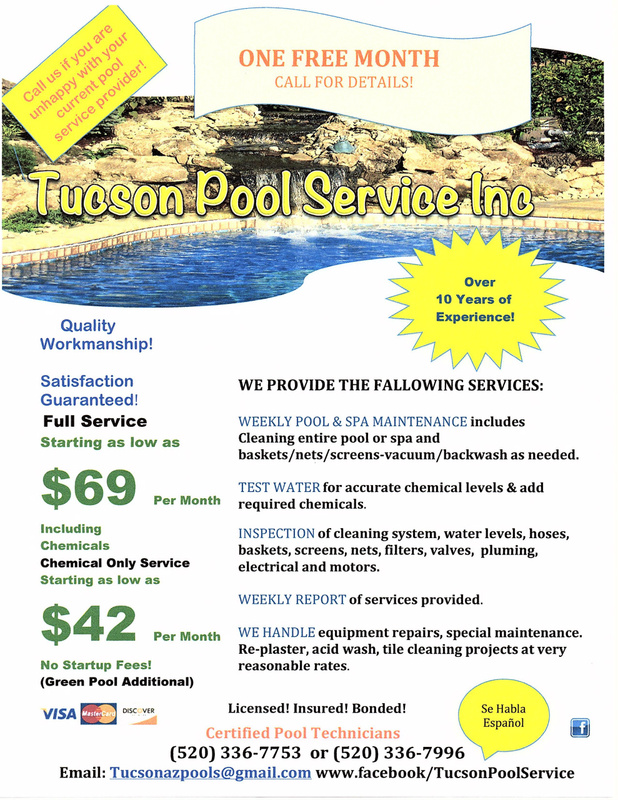 Tucson Pool Service (TPS) not only keeps your pool clean with our routine pool cleaning & maintenance program, we also inspect every aspect of your equipment. We suggest and make any necessary repairs. We offer and install equipment, and also install solar equipment so you can use your pool for an extended amount of time. 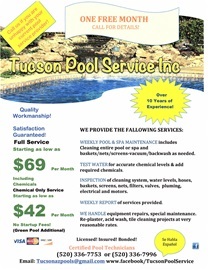 Besides that, we clean of the calcium line on the tile, acid wash or chlorine bath, whichever is needed for your pool. Our commitment to our customers is to keep your pool at its best at all times, so you won't have to take the time out of your busy day to do it yourself. If you hire us for any of your pool needs you wont have to worry, just enjoy your pool with your loved ones. Our team has the experience, let us do the work for you.